Copper Leaf Interior Design Studio announces their most recent intern, Allison Krouse, of Ohio University. Originally from Fort Wayne, Indiana and then Toledo, Ohio, Allison has been working as a sales associate at a marina on Lake Erie for the past four summers. Throughout the school year at Ohio University, she works at a local pub as well as a library assistant at Ohio University’s Alden Library. 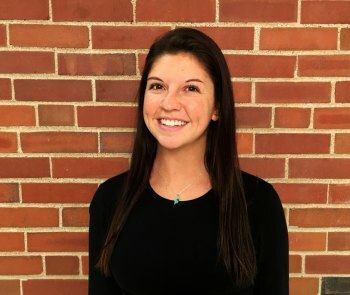 Allison is also a Student Member of the International Interior Design Association (IIDA), was the 2017-2018 Vice President of Ohio University’s Waterski and Wakeboard team and participates yearly in Athens Beautification Day. Copper Leaf is an award winning interior design and project management firm serving residential and commercial clients. Their extensive showroom is located at 415 Gilman Avenue in Marietta, Ohio. Additional information as well as a full portfolio can be can be found at www.copperleafinteriors.com.